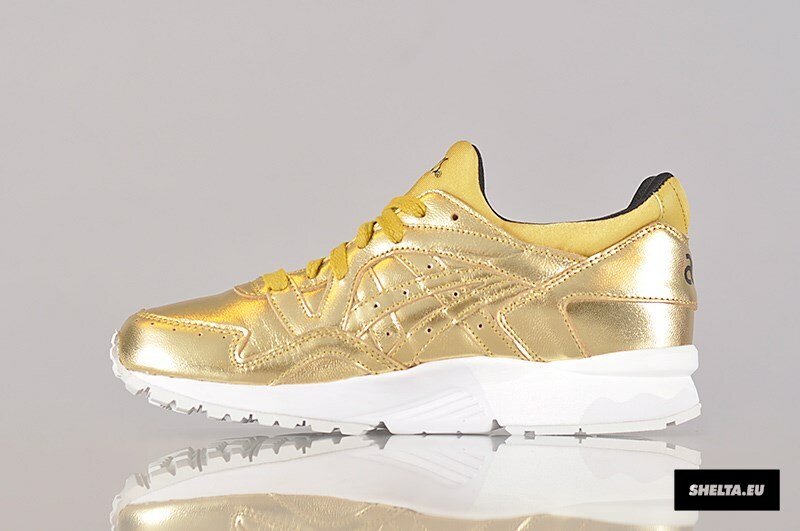 These are hitting retailers now. 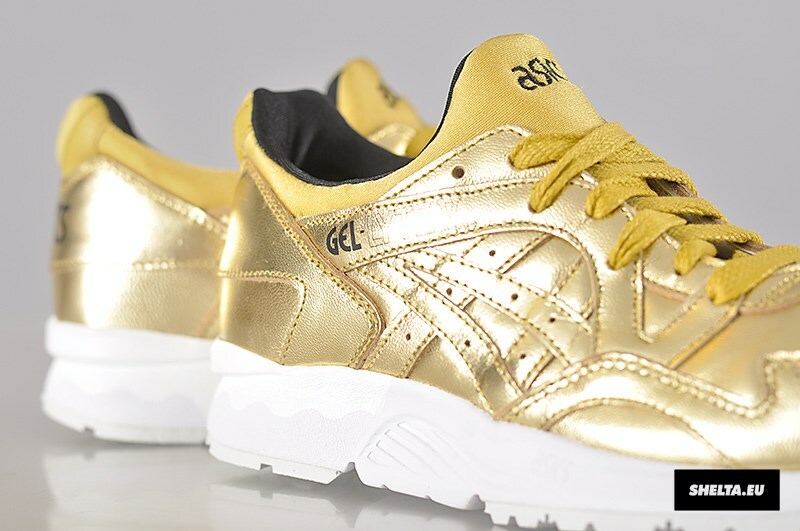 The liquid metal wave of retro sneakers isn't over just yet, as Asics has a late entry with this pair of Gel Lyte Vs. 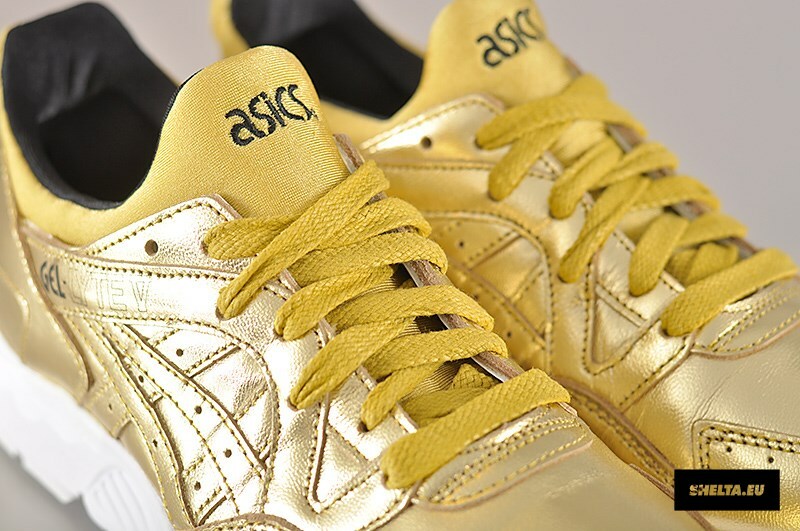 The sneaker first surfaced back in April, along with an Asics Gel Lyte III dipped in a shiny silver look. 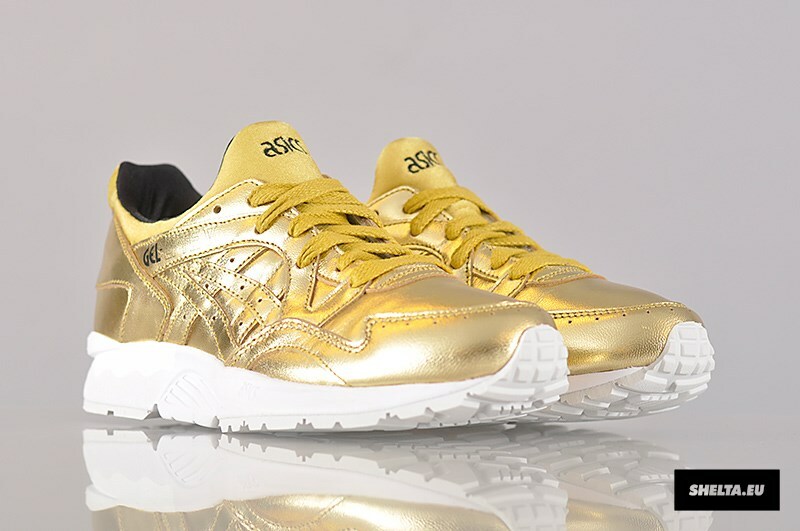 The Gel Lyte III hasn't hit retailers yet but this pair has, landing at European shops in all its shiny glory. 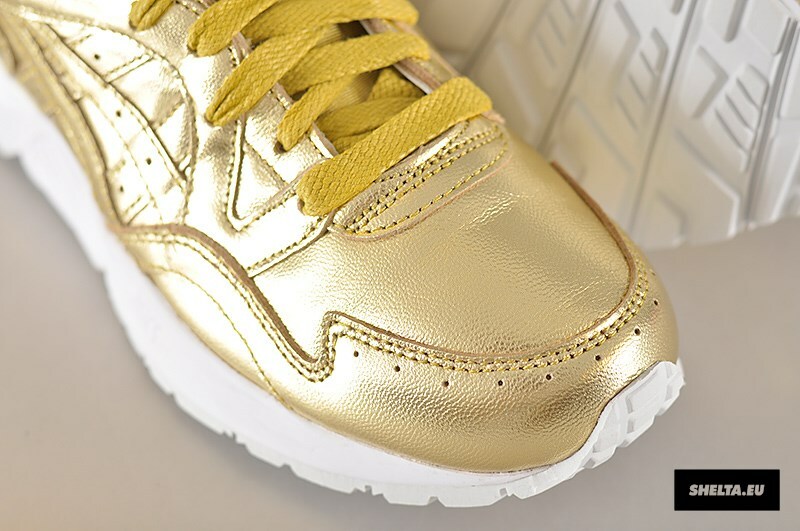 The sneaker could have been more committed to its metallic inspiration – there are a few spots on the upper where the gold takes a break for black. 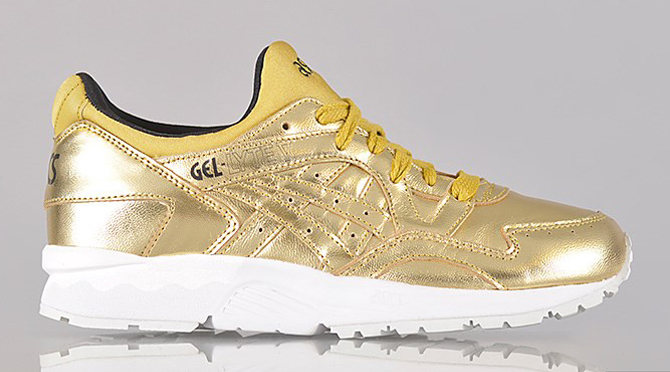 Sole Collector will provide updates if and when this retro Asics release hits the U.S.